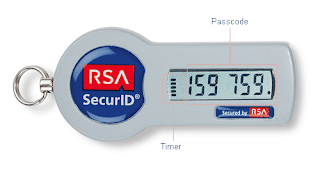 RSA SecurID Token is a software-based one-time password authentication method of protecting network resources, typically used for remote access. It is a small independent program that runs on the PC and that generates every minute a random number called the token code. The SecurID software licenses are bought from RSA Security Corp, therefore we refer to RSA SecurID rather than Network Management SecurID.